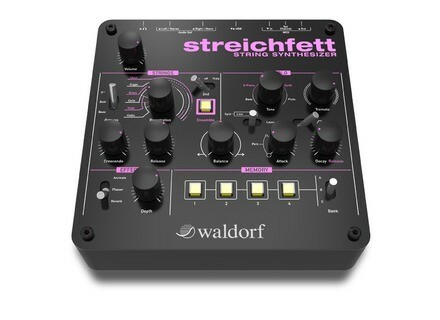 Streichfett, Digital Synth Rack/Sound Module from Waldorf. We couldn’t miss Waldorf’s new Streichfett string synth, so we rushed to his booth at Musikmesse 2014 for a demo. Full details about the Streichfett are available here. [Musikmesse][VIDEO] Elektron unveils Overbridge Elektron doesn’t have any new hardware to show at Musikmesse 2014, but an innovative hardware/DAW integration technology. [Musikmesse][VIDEO] Akai MPX16 Sampler The other big news at Akai’s for this Musikmesse 2014 is the MPX16 sampler, that our team went to discover this morning. [Musikmesse][VIDEO] Arturia MiniBrute SE demo Not all the brands have prototypes to show at Musikmesse, see Arturia and its new MiniBrute SE special edition unveiled today.